The French Bulldog looks a lot like an English Bulldog. It appears that the English Bulldog has got something to do with the origin of the French Bulldog. Especially the curved skull and the tiny bat formed ears immediately strike. This small dog behaves calmly, but he always stays alert. 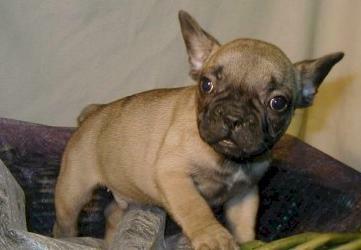 His small size, this dependant nature and his short fur make the French Bulldog a perfect companion.